In our previous article, Kepler Mission – Search for Extraterrestrial Planets, we talked about the history and objectives of the Kepler Space Mission. Named after Johannes Kepler, the main goal of this mission is to discover Earth-like planets, also known as exoplanets or extrasolar planets, orbiting other stars. Launched on March 7, 2009, the Kepler spacecraft has, so far, been quite successful in detecting Earth-sized planets. On January 2010, news about the discovery of 5 exoplanets provided enough evidence that there are Earth-like planets in our galaxy. The planets were detected in the constellation Draco and constellation Cygnus and are as large as Jupiter or Neptune. Well, this discovery was just a tip of the iceberg. In 2011, the Kepler Team announced the discovery of more Earth-size planet candidates, some of them larger than Jupiter. How Does the Kepler Telescope Locate and Verify Earth-Size Planets? 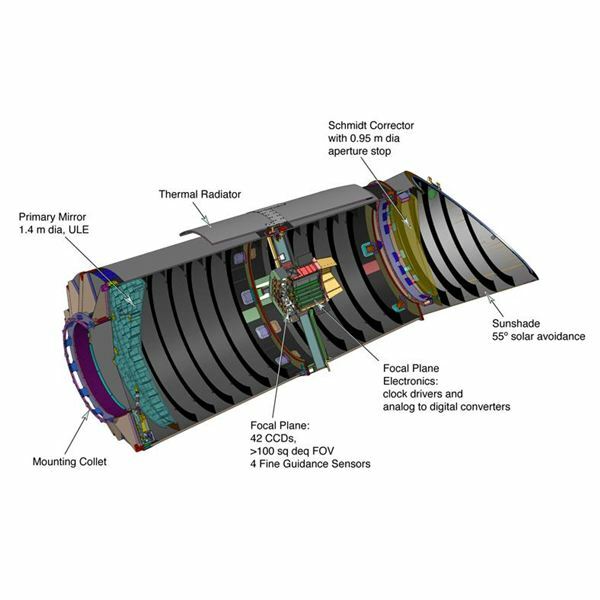 The Kepler spacecraft uses a simple instrument called the photometer, and a Schmidt telescope (Check out the accompanying diagram of the Kepler spacecraft to see the details of the telescope, click the image to enlarge). The telescope points at a single group of stars and measures the decrease in the brightness of the stars caused when planets orbiting them pass between the star and Kepler. This phenomenon, known as a transit, needs to be observed at a minimum of three times to ensure that the drop in light received from the star is due to a planet passing in front of it and not some other noise. Planets that are close to their parent stars can make these transients in a matter of days, but these planets are not typically in the habitable zone. The longer that Kepler looks at these stars, the more planets it discovers that have longer and longer orbital periods, and therefore are further from the star and potentially in the habitable zone where Earth-like planets may exist. 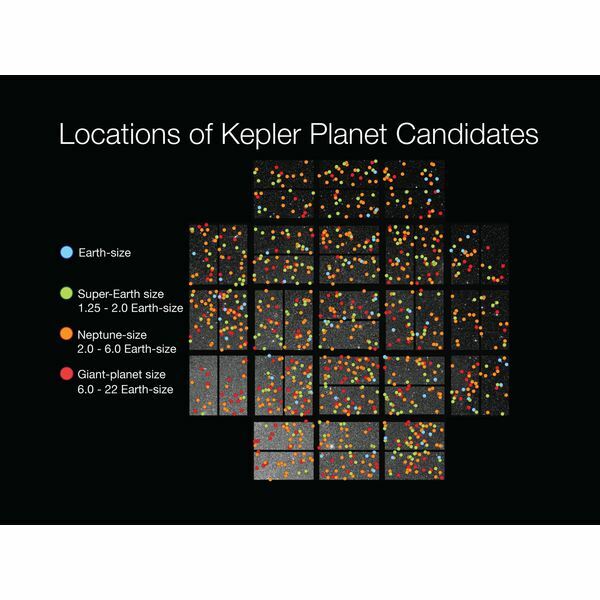 With the help of the Spitzer Space Telescope and ground-based telescopes, the Kepler team studies the observations of any planetary candidates discovered the Kepler telescope. 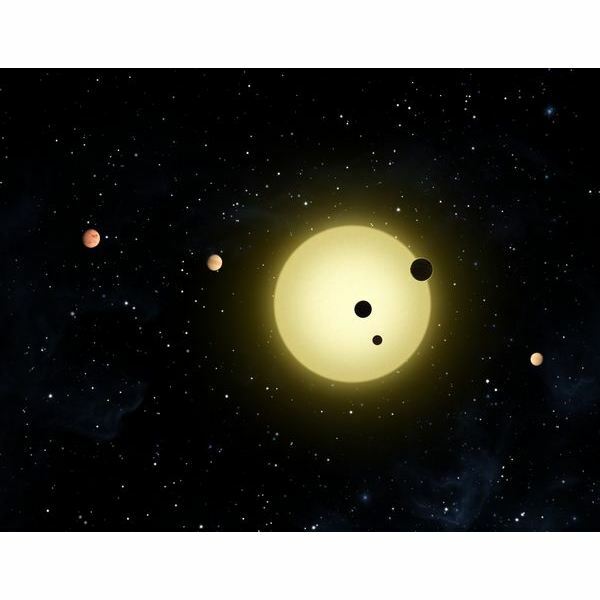 The data extracted from the findings made by the Kepler telescope helps them to determine whether the planetary candidates discovered by Kepler can be corroborated as Earth-size or Super-Earth-size. 5 are Earth-like planetary candidates. Some of the planetary candidates discovered in the habitable zone may have moons with liquid water. According to William Borucki, principle investigator at the NASA’s Ames Research Center, "The fact that we've found so many planet candidates in such a tiny fraction of the sky suggests there are countless planets orbiting sun-like stars in our galaxy". More than 156,000 stars were observed by Kepler Telescope’s field of view, which covers only 1/400 of the sky in space. Based on the latest reports on Kepler’s discovery, a recent study has revealed that one out of every 70 sun-like stars might harbor an Earth-like planet. The new calculations are rooted in Kepler’s February data, which has revealed more than 1200 possible Earth-size and Super-Earth-size planetary candidates. Scientists at NASA’s Jet Propulsion Laboratory came to a conclusion that 1.4 percent to 2.7 percent of Sun-like stars are expected to harbor Earth-like planets within the habitable zones of their stars. They have also opined that there might be a possibility of life, probably intelligent life on these planets1. Of the 997 host stars with planet candidates, around 170 may have multiple planets orbiting them. The most unusual of them is the Kepler-11 planetary system. It is a tightly packed planet system with six planets discovered so far. The orbits of these planets are smaller than the orbit of Venus. These planets contains a mixture of gases and rock, and may also include water, says Jack Lissauer, Kepler team member at the Ames Research Center in Moffett Field California. 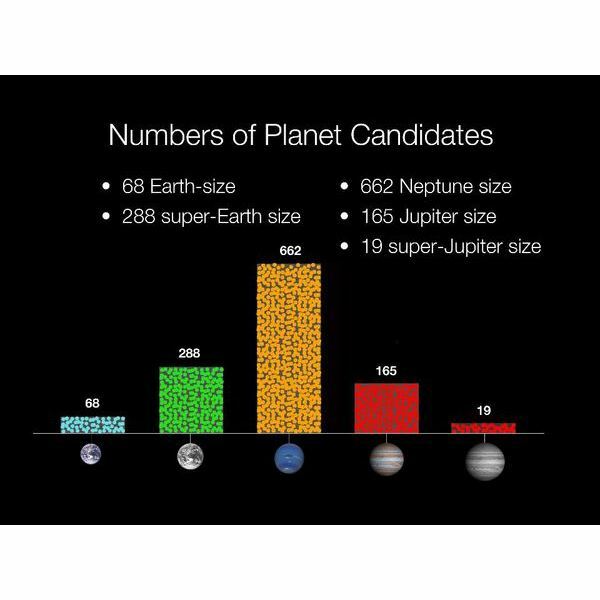 The planets orbiting Kepler-11 system are as large as Neptune and Uranus. A planet named Kepler-11b is the innermost planet and is 10 times nearer to its star than our planet is to the Sun. So far, the Kepler Mission has confirmed 15 Earth-like planets orbiting Kepler-11, Kepler-10, Kepler-9, Kepler-8, Kepler-7, Kepler-6, Kepler-5, and Kepler-4 stars. Of these, Kepler-11 and Kepler-9 have multiple planets orbiting their stars. Kepler-11 has six and Kepler-9 has three confirmed planets. The recent discoveries made by the Kepler spacecraft suggest the possibility of the existence of planets that might harbor life, or even intelligent life. 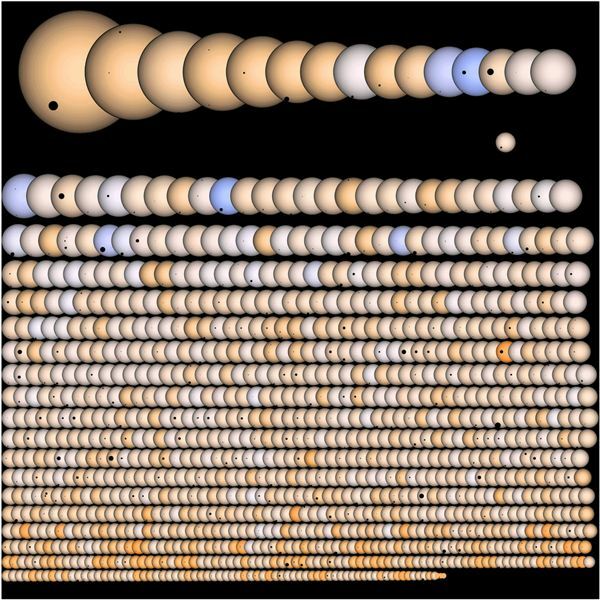 The new data from the Kepler spacecraft observations suggest planetary candidates and it may require time to confirm and categorize them as extrasolar planets in the list of around 17 confirmed extrasolar or Earth-size planets. However, the 15 confirmed planets by the Kepler team do suggest the possibility of an alien life existing on Earth-like planets in the habitable zone of their stars. "In one generation we have gone from extraterrestrial planets being a mainstay of science fiction, to the present, where Kepler has helped turn science fiction into today's reality" – Charles Bolden , NASA Administrator. Indeed, Kepler has helped turn science fiction into reality. This series presents the history of the Kepler mission and discusses the latest information released from the Kepler mission team.